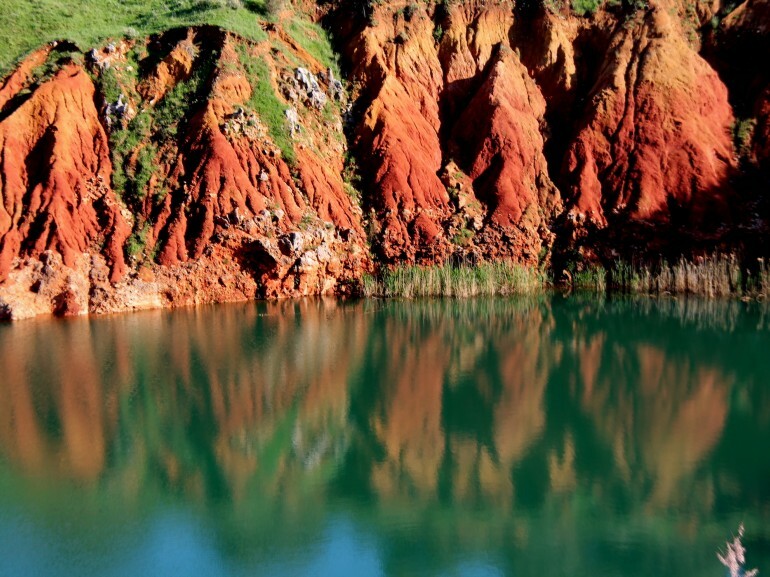 Why we love it: The place is extremely fascinating because, in the abandoned quarry of bauxite, the lak has a dark green color that contrasts with the red rock cliffs in a sublime way, developing a landscape unique. 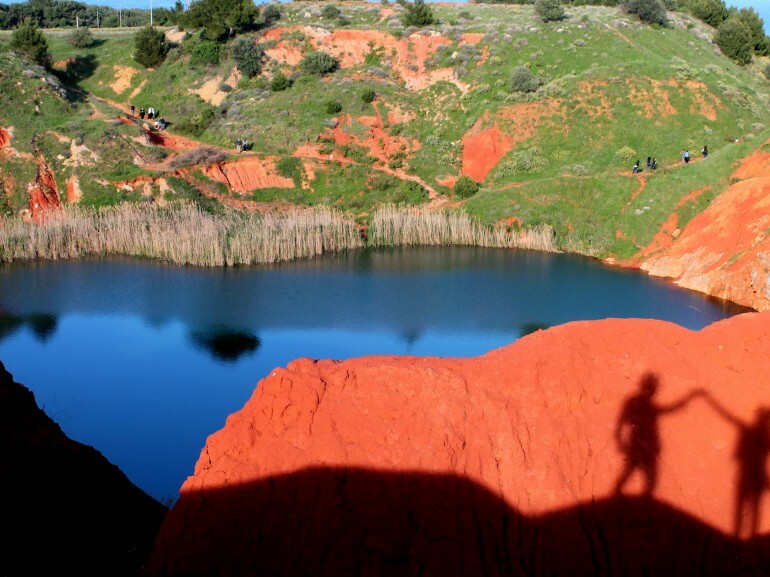 The quarry is reached through fascinating beaten track of red ground. Our Advice: The best time for a visit is the summer and spring. It's an easy track, suitable for beginners too, and it requires a basic clothing: sneakers, jeans or tracksuit, T-shirt. Starting from the main entrance, facing the street to the beautiful Otranto, we begin our journey. By placing part is through the beaten path of red earth. Continuing, soon after, you are totally immersed in a surreal landscape, almost Martian. 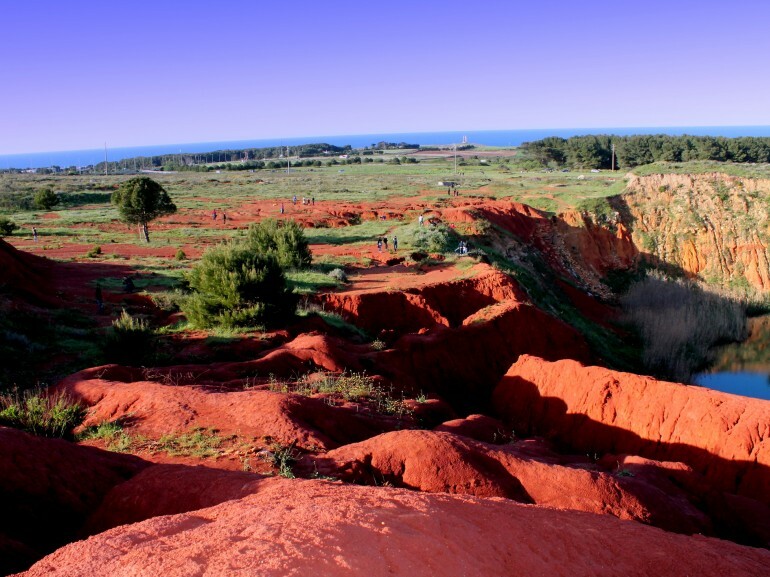 This aspect is given by the red earth, being the site of an abandoned former bauxite quarry, where the green of the surrounding Mediterranean turned into a small pond that creates with the rock face adjacent a unique contrast of bold colors. The place is full of easy tracks, that allows us to reach particular areas, where you can admire the Bay of Orte with his sea. It'sa very quiet place where peace reigns. The wonder stands above the chaotic thinking of modern man. Author: Jacopo Russo - prize "Share your Green Adventure"